Giant Robeast Dot Com: Mooncakes! So I just got back from vacation in China (where all Google stuff, including Blogger) is blocked, but we were just in time for the Fall Moon Festival. One element of the moon festival is traditional mooncakes, which are generally made available by every sort of food purveyor. Normal mooncakes aren't really very tasty, more of a traditional thing, but the ones made by modern, and especially western, companies are really my favorite. 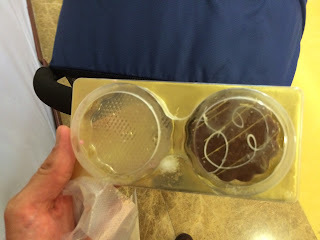 My first example is this low-effort ice cream "mooncake" from Dairy Queen. It's just chocolate ice cream with a chocolate shell vaguely shaped and decorated like a mooncake. However, it does taste better than an actual mooncake. 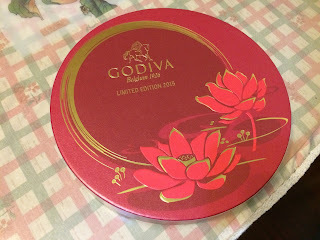 Godiva had a step of from this with a box of chocolates with mooncake shapes. 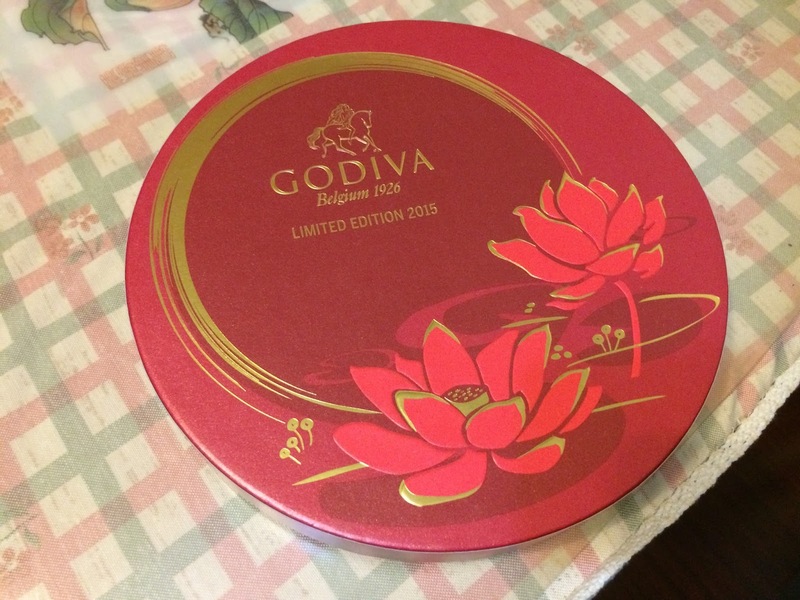 Again, these are still just their normal chocolates with a mooncake theme, but Godiva is always going to be a step up on DQ. 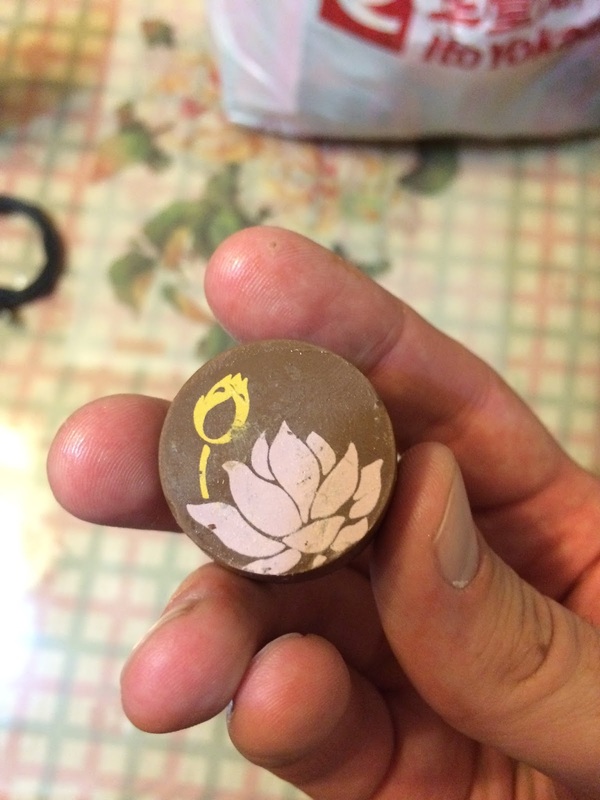 Yep, it's a Godiva chocolate. The piece de resistance from this whole deal, though, is Starbucks. 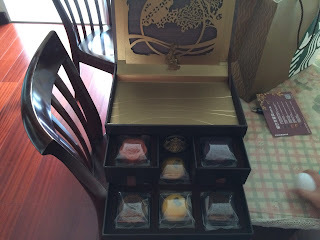 Apparently they took this thing very seriously, with huge sets of carefully crafted mooncakes which are pretty much like the (dry, chalky) traditional ones except with flavors like coffee, caramel, and fruit. This is the deluxe set. Not being a fan of coffee per se, I decided to go for one of the caramel ones. The craftsmanship on this is great. 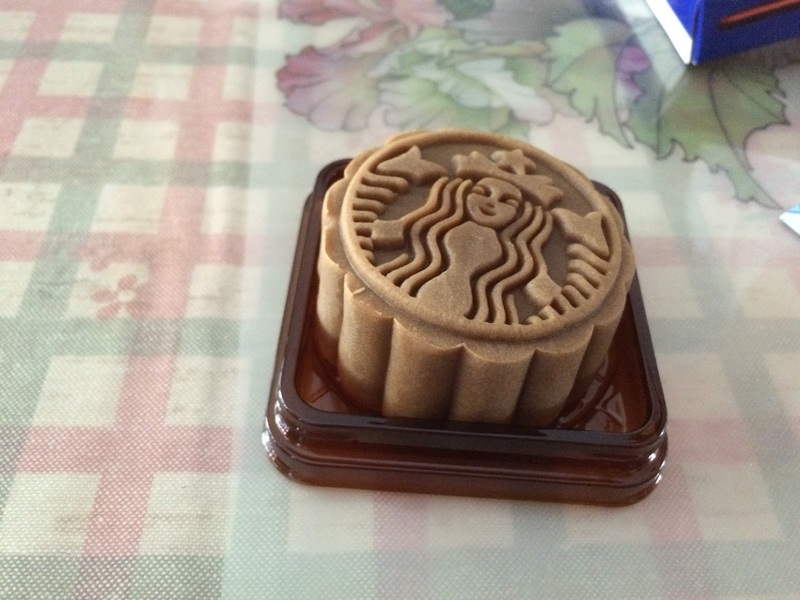 Most modern mooncakes are stamped with a really nice pattern (as opposed to just some coloring on your chocolate shell) and Starbucks really delivers here with a nicely done mermaid. Starbucks took this one seriously. If you are familiar with mooncakes, the texture here was spot on, only flavored like caramel and with no egg inside so I actually liked it more. 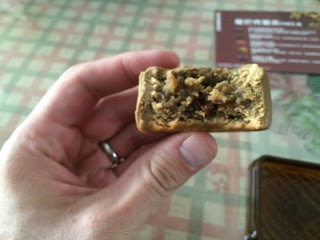 Still a drier pastry than I prefer, but for a traditionalist (who can accept some camp and some caramel flavor) it's pretty solid. Happy late Moon Festival, everybody!